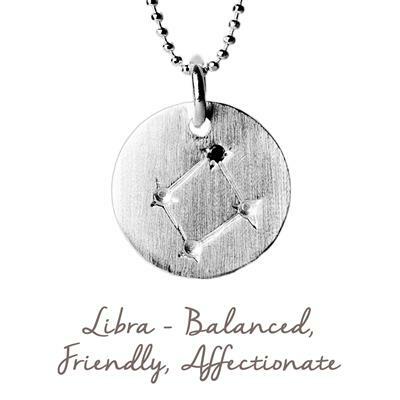 This stunning Sterling Silver necklace reflects the alignment of the stars upon the wearer's birth, with an engraving of the Libra Star Map and black Cubic Zirconia detail. This air sign, symbolised by a set of scales, is focused on achieving balance and harmony in their lives. Those born under Libra (23rd September- 22nd October) have an unwavering moral compass and sense of justice. They also possess a great appreciation for the arts, particularly a love for music. Express your strength of character, and connect to your astrological identity, with this beautiful Star Map necklace.